Smoking kills around 2 out of every 3 smokers. In this article, we'll look at how smoking affects your health. To unpack this alarming fact, there are 79 organs in your body. The vital organs of your brain, lungs, liver, kidney and heart are all harmed by smoking. Also, the many organs of your body’s systems, such as the stomach, intestines, skin, spine, bladder, skeleton, mouth, muscles, joints, lungs, teeth, eyes, ears, skin, glands, nose, tongue, pancreas, joints, muscles, tendons, arteries and veins, to name just some, are also harmed by smoking. Nearly every part of your body is damaged by smoking. Smoking causes many diseases and reduces your health in general. It causes cardiovascular diseases such as heart disease, heart attack, heart failure, stroke and aneurysms, . Even if you only smoke one cigarette a day it can have serious health consequences. 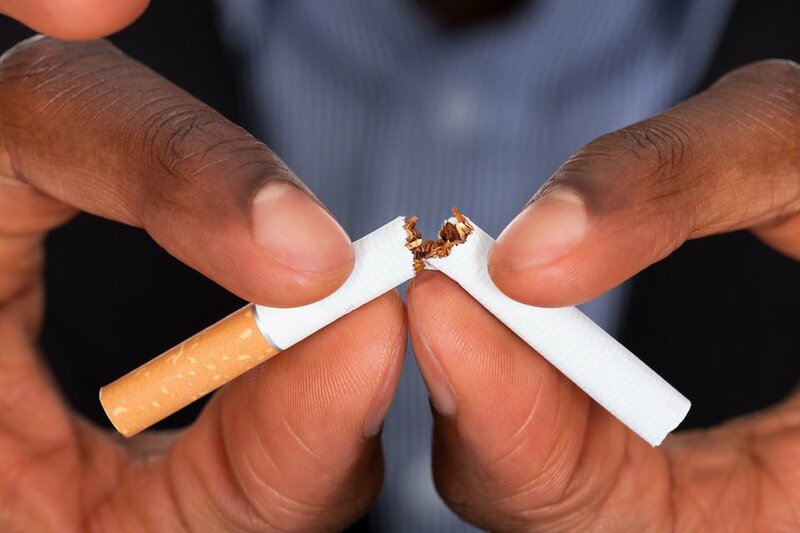 Recent research has found that smoking just one cigarette a day has nearly half the risk of coronary heart disease and stroke compared to a 20-cigs-a-day smoker. There are thousands of chemicals in cigarette smoke, including around 70 known cancer-causing chemicals called carcinogens. These carcinogens enter your bloodstream and are circulated through your body. Smoking causes cancer of the lung, mouth, throat, voice box, oesophagus, pancreas, bladder, kidney, liver, cervix, ureter, nose, nasal sinuses, stomach and bowel. Smoking also causes acute myeloid leukaemia and increases breast cancer risk. Smoking can worsen mental health symptoms such as depression, anxiety, panic attacks or schizophrenia. Most people with a mental health condition find that, in the long term, their mental health and/or mood improves when they quit smoking. Smoking effects the appearance of your face. Smokers are more likely to show signs of premature ageing: wrinkles and loss of skin elasticity. A recent study found that smokers appear up to nearly 5 years older than non-smokers. Even smokers in their 20s and 30s may have early fine wrinkles. Chronic bronchitis – frequent and increased production of phlegm. Occurs in half of all heavy smokers. Chronic Obstructive Pulmonary Disease (COPD). This long-term lung disease limits airflow which causes shortness of breath. It includes emphysema and obstruction of the small airways. Snoring is more common among smokers and increases with the amount of cigarettes smoked. Inflammation and damage to the way your body heals itself. Greater risk of infection including chest and lung infections, and meningococcal disease. There are many risks to the unborn child associated with smoking and pregnancy. Smoking reduces both men's and women's fertility. Secondhand smoke also effects fertility. Problems with getting and maintaining an erection. Women who smoke are more likely to have painful and irregular periods and have earlier menopause. Smokers are more likely to get the flu and take days off work. Smoking causes type 2 diabetes. For people with diabetes, smoking worsens symptoms and makes the illness harder to manage. Secondhand smoke or passive smoking cause many of the health effects associated with active smoking. This page does not list all of the health risks of smoking. For more detail, visit Tobacco in Australia. It can be distressing to read such a list of health effects. The good news is that as soon as you stop smoking, your body begins to repair itself. Read more about how the body repairs, or chat to a one of Quitline's Quit Specialists. You can also request a Quitline callback.